HARMONY WITH NATURAL SURROUNDING ELEMENTS. With any landscape construction project that we undertake, we analyze the existing grades, drainage, light, soil and site conditions. Every detail in the landscape design is considered important. Your yard will become a beautiful, functional, outdoor living space that will be a source of pleasure for many years to come. The original site conditions included a drastic grade difference along both sides of the house, leading from the front yard down to the walk out basement area. We needed to preserve the existing mature trees within the conservation area. 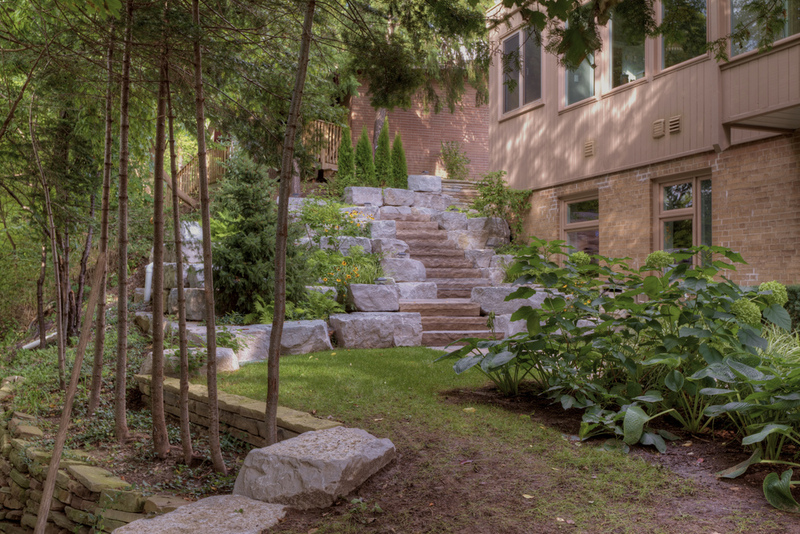 The home owners wanted a very simple, clean design that included steps, walkways, patio area, retaining walls and planting. 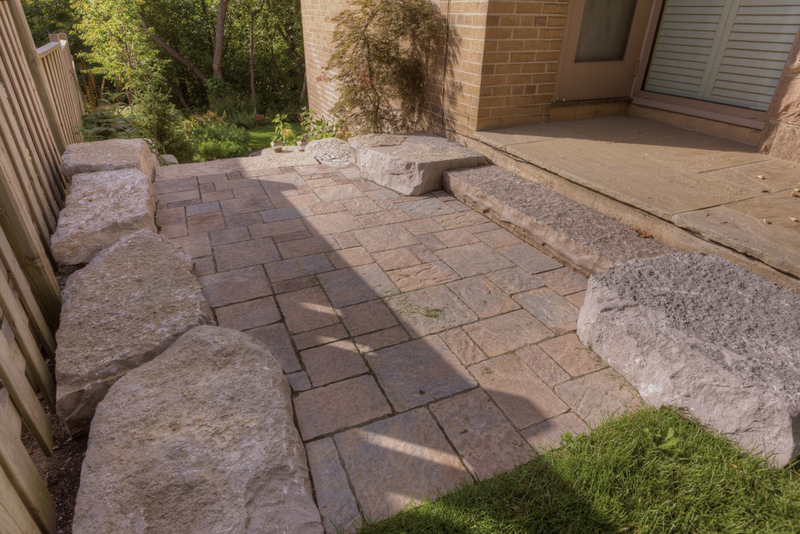 Armour stone boulders were used to retain the various steps needed to accommodate the grades and transitions. The look and feel of the natural rockery kept in harmony with the natural surrounding elements. Simplicity and function were achieved.